According to Will Buxton, Mercedes driver Valtteri Bottas has come into the 2019 season, a more "complete" driver following his underwhelming 2018 campaign. 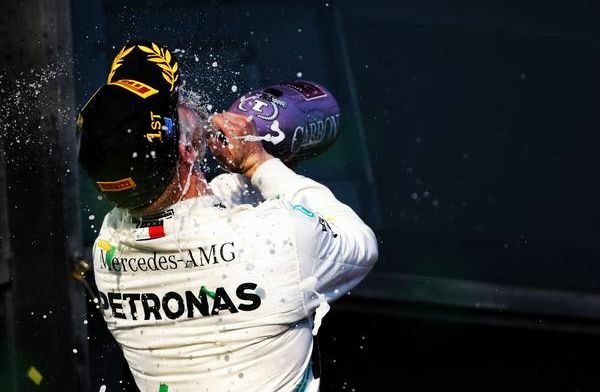 Bottas experienced a disastrous year in 2018 - without recording a victory all season - and subsequently playing second fiddle to Lewis Hamilton; who went onto claim his fifth world title. The Finn had the chance to win in Sochi, but team orders told Bottas to give away his position to Hamilton. But Bottas has already won a race in 2019 - in the season-opener in Australia - and Buxton on the official Formula 1 website explained how the Finn looks a more "complete" driver this campaign. "Everyone quickly forgets that you were a huge talent and the way you have impressed before," the freelance motorsport journalist said on his column. "Bottas was bold in the newspapers when he turned out to be one of the greatest talents in years in junior categories and he has also shown great things in Formula 1. "He entered the Williams immediately after a gap-year and achieved good results immediately. Stages and top results in the qualification would follow soon, after which a move to Mercedes still surprised many people. 'Why not Hulkenberg or Ricciardo? ', the question in the paddock was, but people forgot how fast the Finn was. Why had they not promoted an Ocon or a Wehrlein? Why this unassuming Finn? "I've always liked Valtteri. From the first moment our paths crossed in GP3, there was something I instantly warmed to about him. He reminded me a great deal of Heikki Kovalainen. He had that same quiet confidence and a lack of ego cemented in the family values and love of home life which always seemed of far greater importance than any notion of media celebrity. He didn't have a side. He didn't play politics. He was just Valtteri." If Valtteri is still in front of Lewis by the time Spa rolls around, then sure we can talk about Bottas, two point oh... Until then, One swallow does not a summer make. It was great to See Bottas win the first race. I would love to see him win the championship but I'm afraid that Hamilton is the better driver. It would even be good to see him finish second ahead of the Ferraris + Red Bulls.